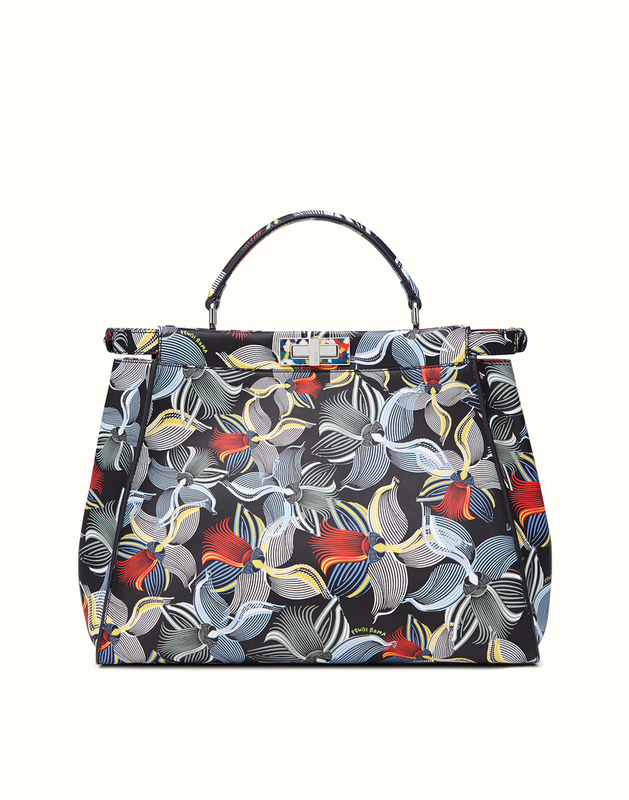 Fendi’s Peekaboo, launched in 2009 by Fendi designer Silvia Venturini Fendi, is the perfect spring bag. 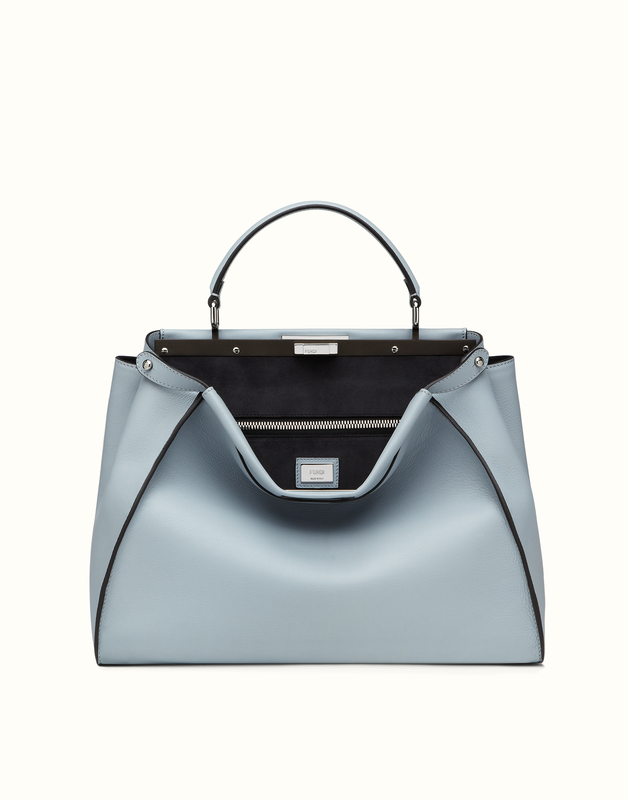 Some (Fendi) call it “an emblem of whispered luxury”, and rightly so. Silvia Venturini Fendi designs with Karl Lagerfeld who has of course been with the brand since 1965 and it is Lagerfeld who is responsible for this season’s orchid prints, the focus of the collection. Drawing inspiration from an orchid he found in the archives of the imperial greenhouse of Sanssouci near Berlin, and dating back to the 1880’s, Lagerfeld redesigned an orchid that no longer exists and introduced it to bags, dresses and hair pieces. Naturally, the leather is 100% calfskin ensuring the softest feel, and of course handmade in Italy. And my personal favourite of the collection, the S/S15 light blue. This bag is just perfect! I love that digital floral print too!! Isn’t it great?! I love the story behind it too.